Zimbabwe’s main opposition party on Wednesday denounced as “obscene” a planned bash to celebrate President Robert Mugabe’s 91st birthday at a time the economy is on a downturn. 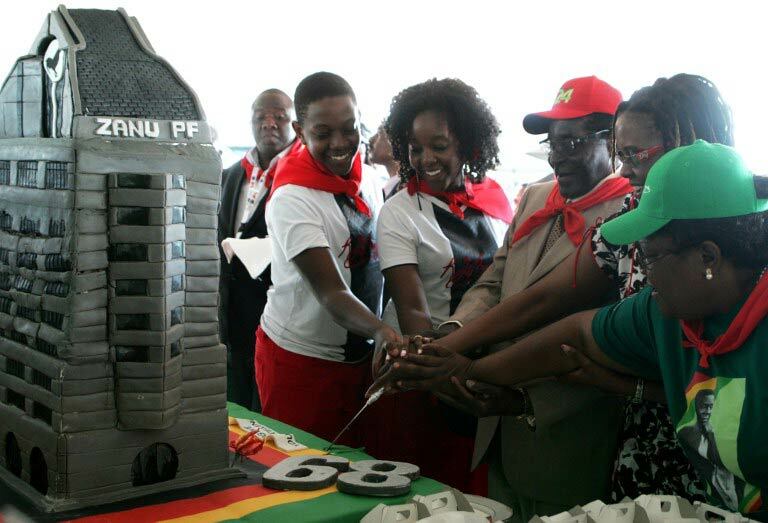 Mugabe turns 91 on Saturday and each year his Zanu-PF party lays on a lavish party using funds raised through public donations. This year a belated feast is set for February 28 at a hotel in the prime resort town of Victoria Falls where guests will be served with game meat donated by a local farmer. But the Movement for Democratic Change (MDC), the country’s main opposition, wants the funds raised for the party to be used instead to fix infrastructure such as hospitals. “All the money that has been collected to bankroll this obscene jamboree should be immediately channeled towards rehabilitating the collapsed public hospitals, clinics and rural schools in Matabeleland North province,” Obert Gutu, spokesperson for the MDC party said in a statement. Victoria Falls is in Matabeleland North province where public facilities such as clinics and roads are in a state of disrepair for lack of funds – as elsewhere in rural Zimbabwe. The town is home to one of the world’s largest waterfalls, the Victoria Falls. Gutu also suggested that food donated for the birthday be “handed over” to charities for the disabled and to orphanages. A businessman in Victoria Falls last week reportedly offered two elephants, two buffalos, two sable antelopes and five impala to be slaughtered for Mugabe’s birthday party. He also promised Mugabe a lion trophy. An all-night music concert in Harare this Friday will preface the celebrations which in the past have included a fashion show and a football match. Africa’s oldest ruler Mugabe has been in power since 1980.